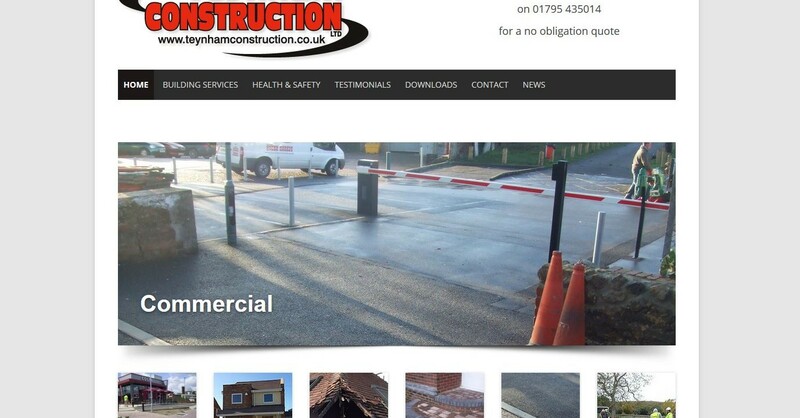 Existing website design client Teynham Construction have enjoyed a good Google position over the years, averaging page 1/2 for search terms like ‘builders in East Kent’ for example. The new WordPress mobile friendly design has improved on that and for the same search string and many more introduced during the re-design process. The new web pages were basically copies in content of the old website but the new enhanced SEO package and Google’s preference to WordPress web pages have made a big difference. 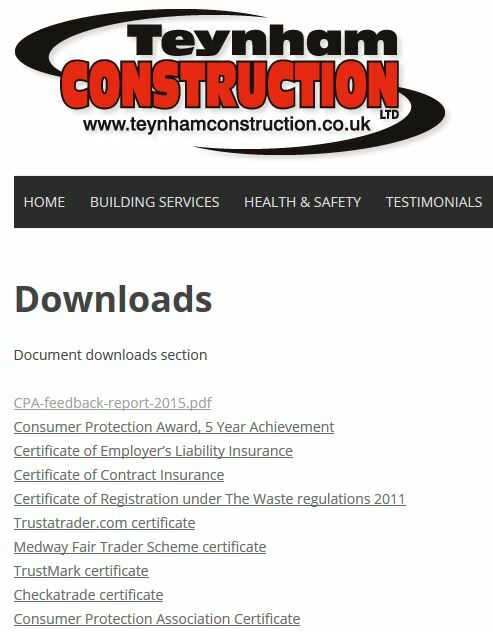 The website is a very important part of the clients business because it not only overviews all their services but important documents can be viewed and downloaded including certificates and accreditations.